Sleep is one of the most important, but overlooked areas of a healthy lifestyle in today’s society. 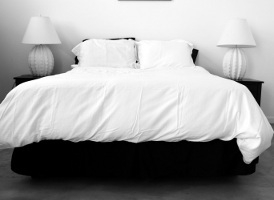 Without proper, healthy sleep all our efforts to improve our life will be hindered. Healthy sleep is a cornerstone of a healthy life. Without it, your body, mind and spirit will suffer. If you don’t get the rest that you need you’ll rob yourself of the vital energy that you crave. Yet society still tells you to work harder, play harder, stay up longer and get up earlier. You burn the candle at both ends, failing to remember that you are the candle! There really is only so much of you to go around, so don’t waste it. So, what can you do to regain control of your sleep and reap the benefits it can provide? The first thing you need to do is educate yourself. Learn how sleep works and why it is so important for you. Not just for your body, but for your emotional, mental and spiritual health as well. Learn about the attitudes and pressures that seek to deprive you of your sleep. Learn about the sleep disorders that can steal precious sleep and how to combat them. Now that you have the knowledge and the proper attitude, you need to create habits that will help you to get enough sleep. And not just enough, but good, refreshing sleep. There are a couple of steps that you should be doing to help set up these good sleep habits. I’ll be writing further articles describing each of these steps in more detail. Sign up for the newsletter (see the right sidebar) to keep up to date on the latest information that gets posted. Do you have a regular routine? Or do your sleep and wake times vary from day to day? What is your sleep environment like? Is it helping you to sleep or distracting you? This is known as sleep hygiene. If you are like most people in our fast paced culture, then you probably are very sleep deprived. So this part will be difficult to determine until you are able to get your sleep debt to a reasonable level. Then you can do some testing to determine how much sleep you will need to remain at that level. If you have a sleeping disorder, the quality of the sleep you’re getting will not be able to offset the sleep debt you’re accumulating. You may need to go to a sleep clinic to have a sleep study. They doctors at the clinic will be able to help you determine if there is a problem and help you choose a course of treatment if needed. The Sleep Apnea at Toxic Habits site was initially started to bring more awareness of a single sleep disorder, namely sleep apnea. It is a personal topic as I’ve been living with this disorder for over 15 years. But as I researched I began to understand that dealing with my sleep apnea is only the tip of the iceberg when it comes to getting a healthy sleep. So this site is now dedicated to promoting a complete understanding of proper sleep, not just a single sleep disorder. My goal is that you will experience the same awaking (pardon the pun 8=) that I have.